For many years, Nick has been interested in coastal landscape photography. Retiring from teaching quantitative economics and moving to St. James from Southwestern Ohio has allowed him to spend many hours with his photography interests. He finds the Brunswick county area to be an excellent setting to develop and then refine his skills. 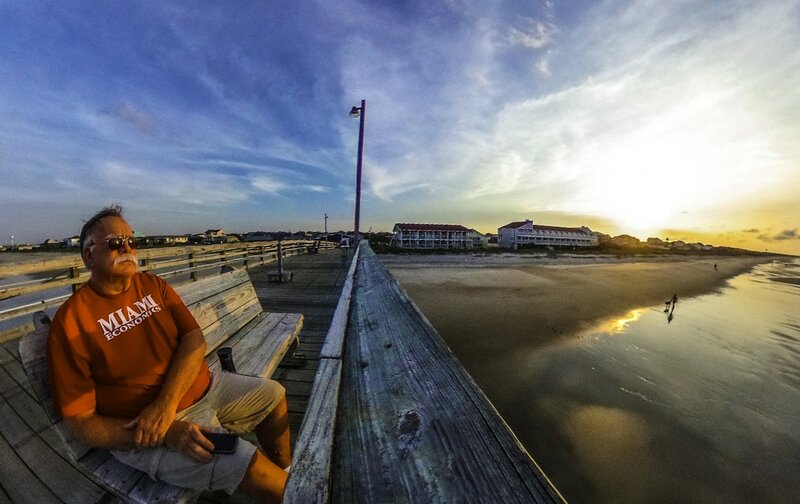 He loves photographing the piers, sunrises, sunsets and seascapes. 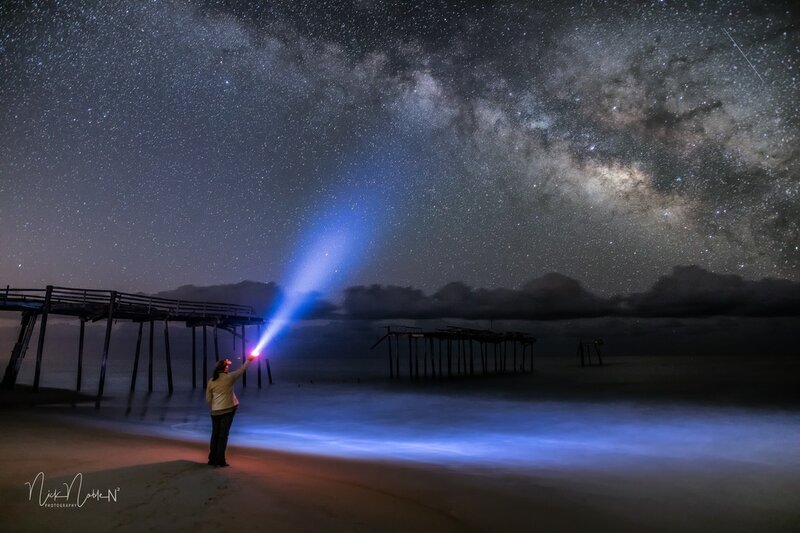 Nick enjoys returning to the same location, each time with different lights and different tides; then trying to understand how these differences influence the resulting picture. Nick’s move to St. James also has allowed him to develop an entirely new photographic interest: landscape astrophotography. This is photographing the stars and Milk Way, particularly in the late night and early morning. Three AM on a chilly, quiet late winter night with camera, a cup of warm coffee and a sky full of stars has become his “happy place”. Nick’s photography can be seen regularly on the St. James Facebook and Instagram pages, on his ‘Nick Noble Photography Facebook’ page and his website, NickNoblePhotography.com. Nick’s work has been featured in a number of local calendars and publications.